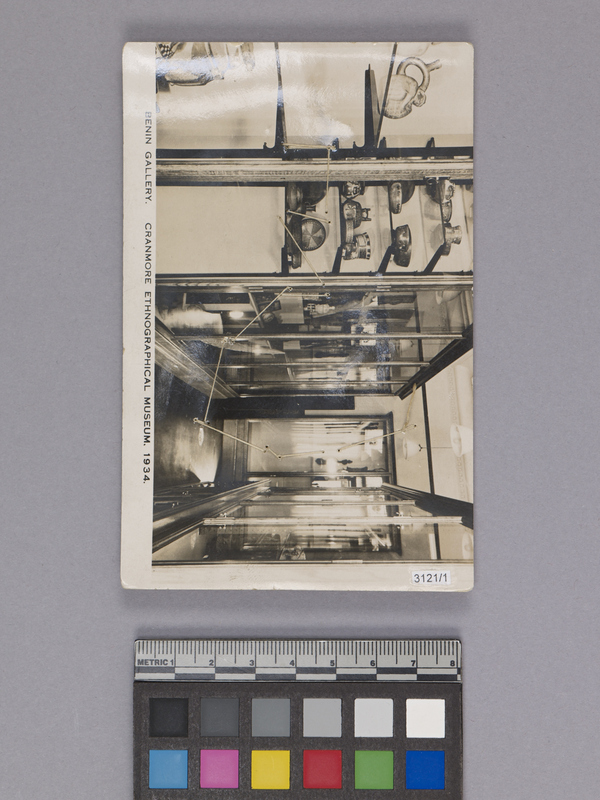 Item number 3121/1 from the MOA: University of British Columbia. Part of an ornament (kapkap) made of tortoise shell. The carved shell ornament has four long points at bottom, above which are three diamond shapes with shorter points extending out from the sides. 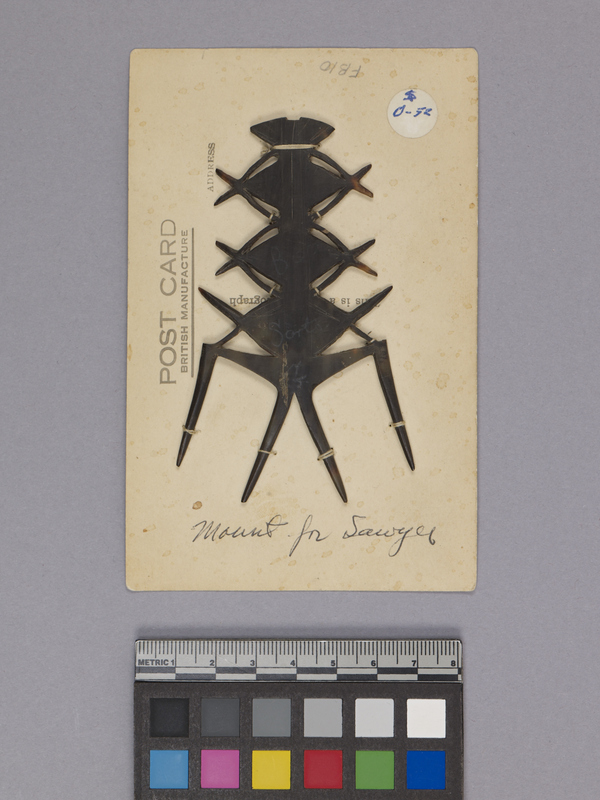 The ornament is tied, in multiple places, by cotton thread onto the back of a trimmed postcard. The image on the front of the postcard shows a black and white photo of the Benin Gallery of the Cranmore Ethnographical Museum. The ornamental design piece for a 'kapkap'. Kapkaps were originally said to have been worn on the forehead by a warrior. Later they became a form of currency in inter-island trade.